Excited to announce The Budapest Cafe has been longlisted from 3,689 entries received from 91 different countries! 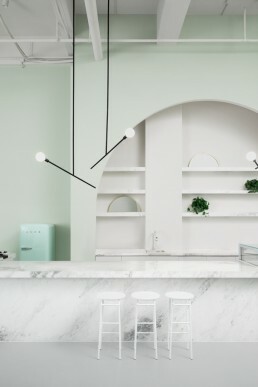 We are proud to be longlisted alongside some notable Australian design studios — Studio Tate, Carr Design, Foolscap Studio, Studio Esteta and Mim Design — representing Australian hospitality interiors, internationally. Congratulations to all the longlisted studios and best of luck in the next round! [Extract] There are 207 interior-design projects on the longlist for the inaugural Dezeen Awards, including a revamp of a house built by Frank Gehry, a loft apartment in a former tank station and the offices of IKEA’s creative team. We received over 3,500 entries from 91 different countries for the first Dezeen Awards, which recognises the world’s best architecture, interiors and design projects, as well as the individuals and studios with the most impressive output.